Bus accidents and those involving group transportation vehicles happen, unfortunately, and when they do the results can be very serious to passengers in either vehicle. If you’ve been injured or involved, you should contact Mesa bus accident lawyer Nathaniel B. Preston (“Nate”). Nate will help you through the legal process and help you get the compensation you deserve. School buses: School buses transport kids to and from school every morning and afternoon. They are also used for transporting students to field trips and school events, as well as carrying sports teams to their games. School buses are typically owned by the school district or a private school; in some cases the schools contract with a private company to provide bus service for students. Public transit: People without cars use city buses for transportation to and from work every day. Public transit vehicles can be owned/operated by the city or county. In some jurisdictions a city/county may contract with a private company to manage local public transit systems. Charter buses: Groups & organizations often hire a private charter bus for transporting groups to sporting events, corporate events and vacations. In these cases, the private company owns, operates and maintains the vehicles, and hires the drivers. Tour buses: Tour buses are used to transport groups of people who are visiting several locations, or driving long distances to a specific locale. Tour buses are hired by interest groups or by professional tour companies. The buses are owned, operated and maintained by the tour bus company. In many cases, the tour bus company is unaffiliated with the company which is sponsoring the tour. 15-passenger vans: Smaller groups often use 15-passenger vans. Small groups usually provide their own driver, and rent the vans from car or truck rental companies. I’ve Been Involved in a Bus Accident — Now What? 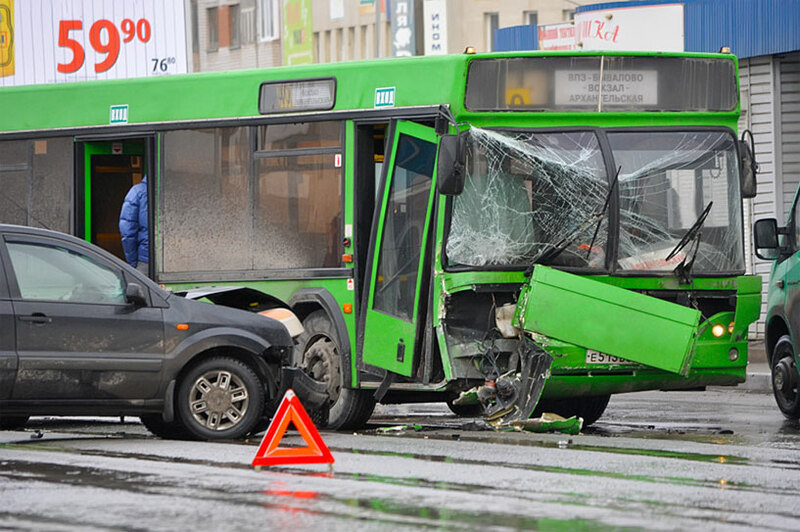 Legal liability in bus accidents depends on which party (vehicle) was responsible for the accident. If it is determined that the bus was at least partially at fault, whoever owns or operates the bus can be liable — it could be the school board, school district, city, county, or a privately owned company. IMPORTANT: you must file a claim against a city, county or public entity within 180 days of the accident if that city, county or public entity is responsible or liable for your injuries. If not, you could lose your right to obtain compensation. Accident attorney Warnock MacKinlay Law understands the nuances and complexities of bus accidents and can help you sort out any complications.